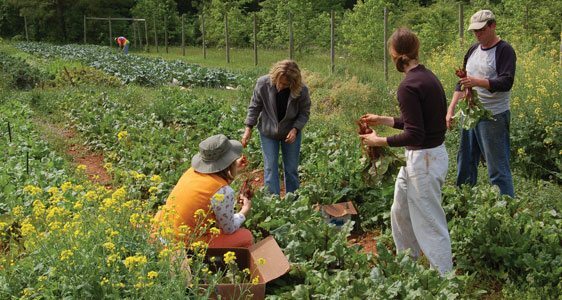 Sustainable Farming Classes in N.C. Heads up North Carolina Greenhorns! These Sustainable Farming Classes at Central Carolina Community College (CCCC) Pittsboro Are Starting Soon! Call 919-542-6495 ext. 223 to register. 1. Biointensive Gardening (Intro)- NEW! Learn more about the natural plant world around you. This class and field study will teach you to identify common wild plants that are useful for food, fiber and medicine and to know the specifics of their preparation. Monday, 3/2/09 – 4/6/09, 5:30-7:30 pm, Weekend field trip TBD, Tony Mayer, $56.25. This course will present the fundamentals of organic vegetable growing and offer hands-on training in the most important skills involved. Grow, harvest, and utilize a variety of vegetables organically, learn about irrigation installation and season extension structures. Call 919-542-6495 ext. 223 to register. Tomorrow in NYC! Bake Sale & Fashion Show!